Whether you believe in it or you don’t, Valentine Day is a well marketed global phenomenon. And chances are that 90% of the time, one person in a relationship does believe in Valentine Day or would at least like to celebrate it with his/ her someone special. So considering this vast target audience and the fact that planning is a tedious and mentally exhausting process. I decided to list down 10 best places for 5 different kind of people to visit on V-day with their bae. If you’re all mushy and want to impress your lover/ friend/ girlfriend/ this girl/ boy, however you label the bond, you can try Hakkasan which every year comes out with a curated menu for V-day. The place oozes romance and the food, service and drinks are great. Another good option would be Dome – Intercontinental. Who wouldn’t want to stare at the expanse of sea while enjoying the clean breeze on their face and staring at his/ her someone special. If you want to feel good vibes and enjoy good food while not digging too deep in your pocket, you can try Bayview café in Colaba. It offers a rooftop with a great sea view and is easy on your pocket. Have fun spotting Gateway of India, Taj Mahal Palace and other iconic places on Mumbai’s coastline while enjoying great company and tasty food. Another good place in a budget would be Sushi café in Bandra. The food is great and this quaint place is done up nicely. The service might be little slow but the food makes up for it. Also, some extra time to spend with your beloved shouldn’t be a chore. If you don’t have much time to spend and can only adjust breakfast or quick lunch with bae, head out to Nutcracker in Kala Ghoda. It’s small, quaint, romantic and very pretty. It’s an eggetarian place so if you’re a vegetarian, it’s an ideal choice for you. Another good option would be The Bagel Shop on Carter Road. I personally like the relax atmosphere, good bagels and the friendly service. If you love seafood as much as I do, then you should head out to Pratap Lunch Home, Fort. Only for the food but then food is known to be a good aphrodisiac. The place is all business and service is quick. 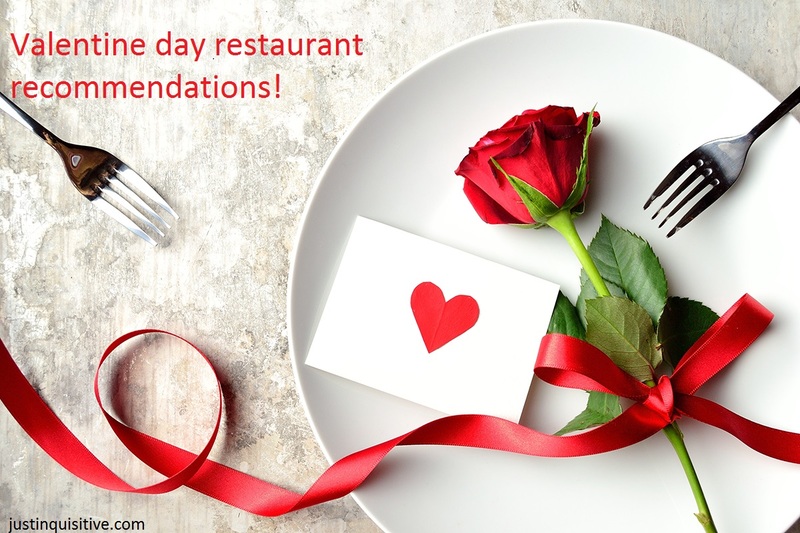 Go here for a no frills attached meal with your valentine. Another good option to try would be Heng bok in Bandra. The place is on the expensive side but the ambience and food is worth it. You get amazing Korean food here and I personally like the live barbecue counter on each table and what it does. Enjoy a romantic dinner here with your loved one while eating scrumptious, tasty and spicy Korean delicacies. If you don’t just want to meet over a meal and have some more time, I suggest sitting for stand up comedy act. Laughing brings people closer and even if it doesn’t, you sure feel a lot better just by laughing. So book those tickets in advance to avoid any disruptions to your planned evening and go attend a laughter session. I recommend going for Canvas Laugh Club’s My Funny Valentine. You can do dinner post this where you rehash all the jokes and the funny stories that the comedy artists reminded you of. From Canvas Laugh Club heading to Verbena is an easy walk and it’s a gorgeous place to unwind and relax. If you’ve any other suggestion that you think should be in this list, please share it in the comments section below. Have a fun, happy and delightful valentine’s day all! This post is a part of Blogtrain #ShareUrLove hosted by Minakshi & Dipika, wherein 18 lovely female bloggers from different genres are talking about some aspect of ‘Love’. In this train, I took the blog relay baton from Jhilmil. Next post lined up is from Sabeeka who writes on adopting healthy lifestyle using natural remedies. Let’s see what she has to say about love! I am adding these best places on my list to visit next time for sure. Hakkasan has really beautiful ambiance, have been seeing it on Zomato 🙂 This post is really helpful for the V-Day night out. Wow !! These are some amazing place to visit especially on the Day of Love. Thanks for this variety of great recommendations to choose from! Going for a stand-up comedy show or a play is fun. Nice. I wish I stayed in Mumbai . So many place to try exotic food in v-day.